Alien themed tech-death masters RINGS OF SATURN released their fourth studio album Ultu Ulla, in summer 2017 through Nuclear Blast. 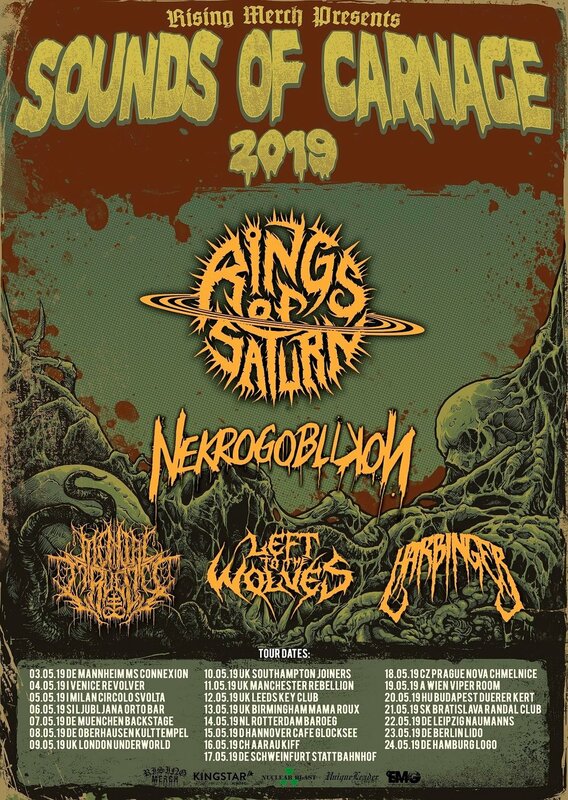 Whilst working on its follow-up, the band are pleased to announce a 23-date headline run across Europe in May - including 5 UK shows - alongside US goblin metallers NEKROGOBLIKON. Additional support will come from German brutal slamming deathcore act MENTAL CRUELTY, Lexington KY based metallers LEFT TO THE WOLVES as well as UK metal outfit HARBINGER. All dates can be found below, tickets are on sale now.